A lot of fuss is often made about how difficult legal translation is. But, while it is challenging, it’s also interesting and rewarding. This is partly because of the differences between legal systems. As a result, legal translators need to have a good grounding in the legal systems they translate to and from, and term research often requires more than just a bilingual dictionary. Target language equivalents often suffice as translations, but you have to know what terms mean in their systems to determine whether you can use a term for a given purpose and audience. If you can’t use a target language equivalent, or none exists, you have to dig into your bag of tricks for another solution. 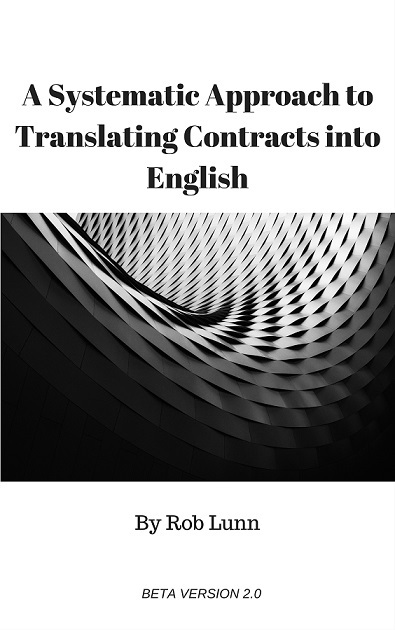 Paraphrases, borrowings, neologisms and translator’s notes are among the strategies that you get to use more often in legal translation than other types of translation. Hence the greater joy had by legal translators. Maybe calling it joy is pushing it, but you do have to stretch your translator’s brain somewhat, and this can make things interesting and sometimes even satisfying. As well as knowing how and when to use different strategies, you also have to have the confidence to use them, sometimes even flying in the face of the other translations you find (if you did your research and are taking into account the purpose and audience, this shouldn’t pose a problem). The differences between legal systems keep you on your toes. Likely looking translations can never be taken for granted—you never know what subtle yet important differences they may hide. You must research diligently in monolingual as well as bilingual sources, particularly when you find yourself venturing into unfamiliar areas of knowledge. When you reach shaky ground of this kind, you may be tempted to play bilingual-dictionary roulette and go with whatever synonym looks best without fully grasping what the terms mean. When you get this urge, try to ignore it—for the good of your translation and your development as a translator. Go to other sources and research a bit deeper, just to make sure. So, these are the joys gained from the fact that legal systems are unique. Legal translators also have more fun because they need to be creative and good writers (not just accurate ones, as we sometimes hear), but more about that some other day.